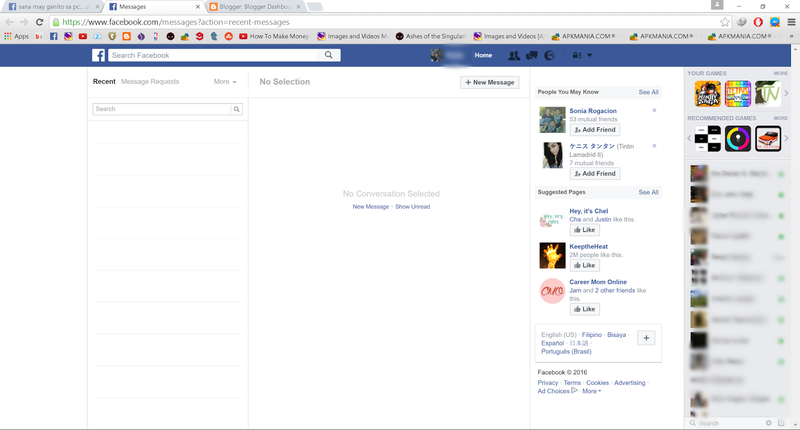 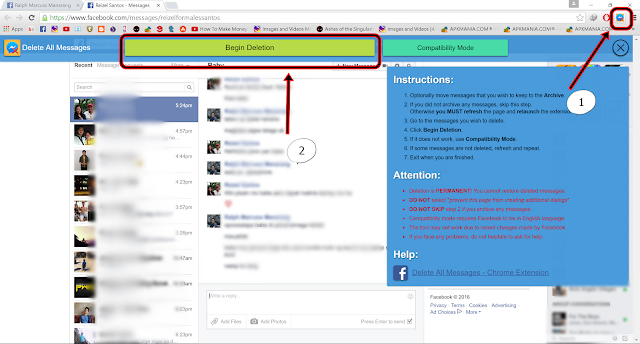 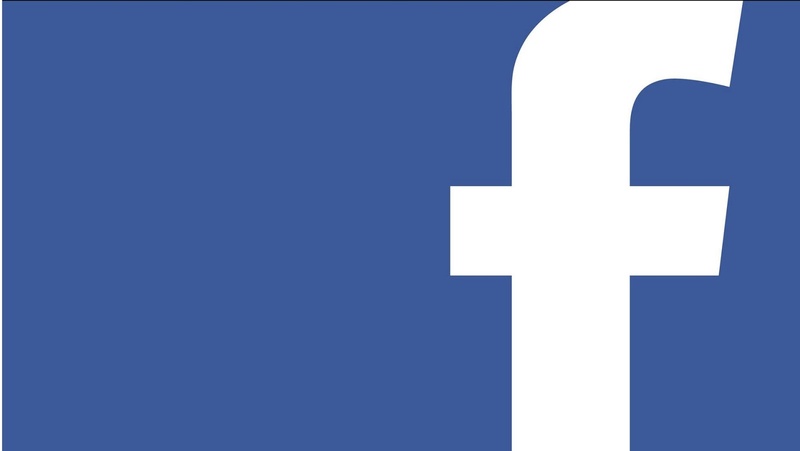 This is a short tutorial how to delete Facebook messages in bulk. 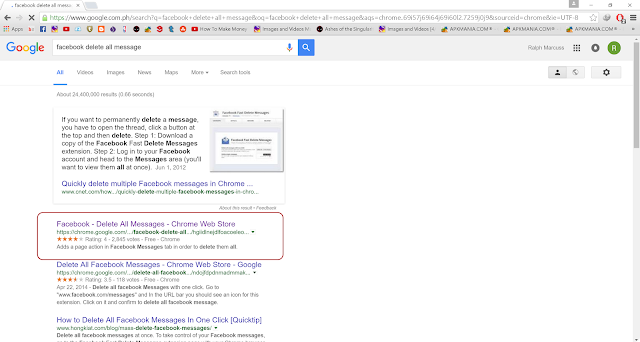 In this tutorial I am using Google Chrome for this tutorial. 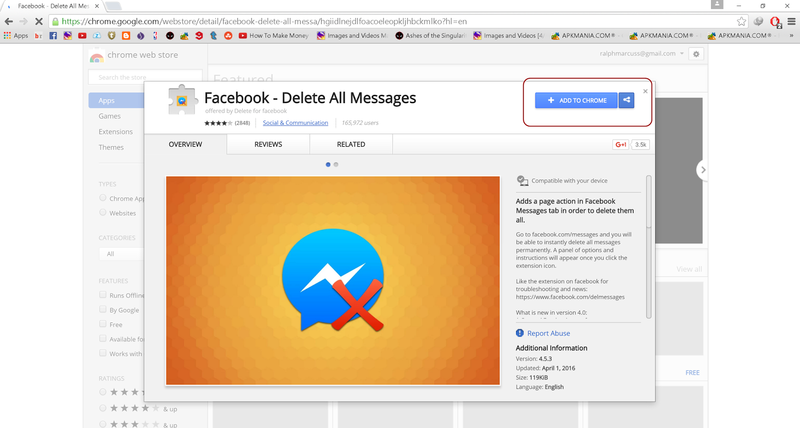 First download a chrome extension called"Facebook - Delete All Messages". Click the extension marked (1) then click (2). CONGRATULATIONS! You have deleted the all your inbox easily in just few clicks.